After a playing career as a central defender for Sunderland, Hibs, Dundee and Partick Thistle was cut short at the age of 32 due to a back injury, Chisholm took on a coaching job at Firhill under John Lambie in 1992. Eventually becoming assistant manager under Murdo MacLeod in 1995, he moved on to Clydebank in 1997 where he continued that role under Ian McCall. Chisholm went on to follow McCall to Airdrie and Falkirk before the management due arrived at Tannadice in 2003. When McCall was sacked in March 2005, Chisholm stepped in as caretaker manager, and after guiding the Club clear of relegation and to a place in the 2005 Scottish Cup Final at Hampden, he was given the manger's job in a permanent basis. 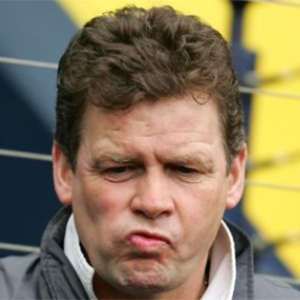 However, after only five League wins in the first half of the 2005/06 season, and defeats in the first round of both domestic Cup competitions and in Europe, Chisholm was sacked in January 2006. Following Chisholm's sacking, player/coach Billy Dodds stepped in to the manager's role temporarily for an SPL match against Falkirk at Tannadice, which the team won 2-1. However, chairman Eddie Thompson had already made his mind up for Chisholm's replacement, and within days legendary United striker and then Inverness CT manager Craig Brewster was appointed as the new United manager. 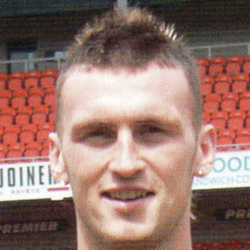 Dodds left Tannadice to continue his playing career at Partick Thistle.